The ActivPanel is a fully connected interactive display that provides tablet-like functionality for the classroom. Teachers and students can interact with content, simultaneously write and draw, and connect mobile devices to mirror content and collaborate. Teachers can wirelessly share their lessons, easily access content, and download and use their favourite learning apps. Collaborate in Real-Time Students can use a connected mobile device to receive, send, or interact with digital lesson content. Move freely throughout the Classroom Observe and intervene with individual work teams while mirroring lesson content from anywhere in the classroom using a mobile device. We are witnessing a transformation in the creation and sharing of knowledge, fuelled by the impact of technology in the teaching and learning process. Promethean interactive flatscreens are revolutionising The “Classroom” to reflect a connected, knowledge sharing community that is no longer confined to the boundaries of the physical classroom space. Promethean believes in these types of learning experiences. Promethean, designs education technology solutions for the modern classroom that improve the impact of instruction and learning. Their technology solutions increase student engagement and teacher effectiveness, both inside the classroom and beyond. ClassFlow Connect turns every classroom into a dynamic and collaborative environment through its built-in teaching and learning tools, including wireless mirroring and team-based collaboration apps. It introduces a variety of new ways to share, communicate and collaborate by enabling teachers to divide their interactive display into individual learning spaces for students to work together. ClassFlow Connect enables teachers and students to wirelessly mirror lesson content from mobile devices to the ActivWall or other interactive display for whole class viewing and interaction. Simultaneously mirror multiple devices on-screen to share thoughts and ideas. Students can use their connected mobile device to send, receive, or interact with digital lesson content. ClassFlow Connect enables teachers and students to wirelessly mirror lesson content from mobile devices to the ActivWall or other interactive display for whole class viewing and interaction. Simultaneously mirror multiple devices on-screen to share thoughts and ideas. Students can use their connected mobile device to send, receive, or interact with digital lesson content. 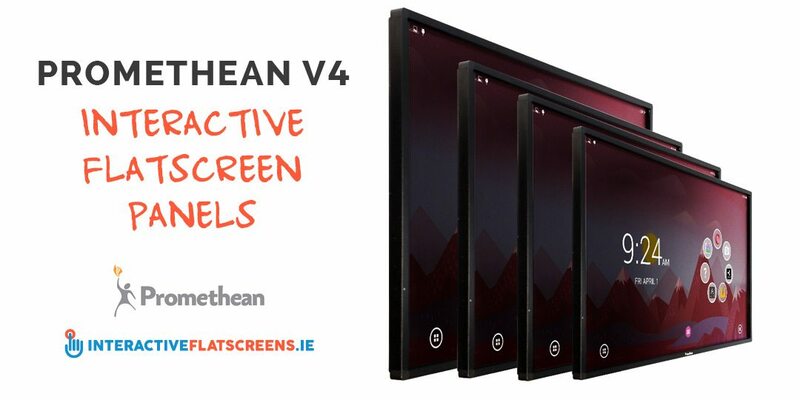 Promethean V4 Interactive Touchscreen Panels Available Now! 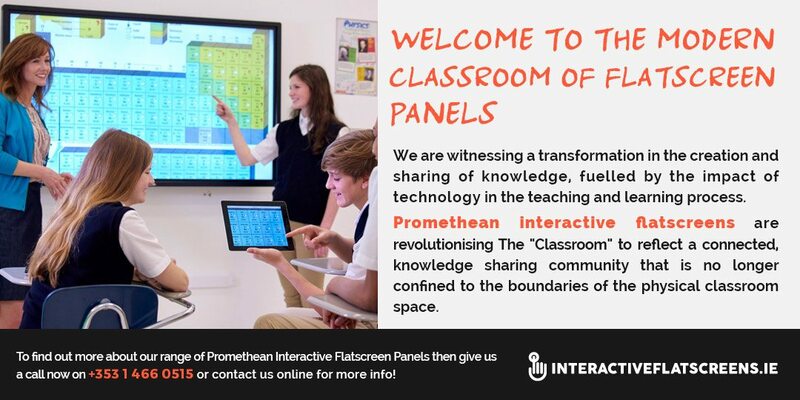 For more information regarding Promethean V4 Interactive Panels, or for a FREE no obligation quotation, please call us on +353 1 466 0515 or contact us online to see how they can benefit your classroom!